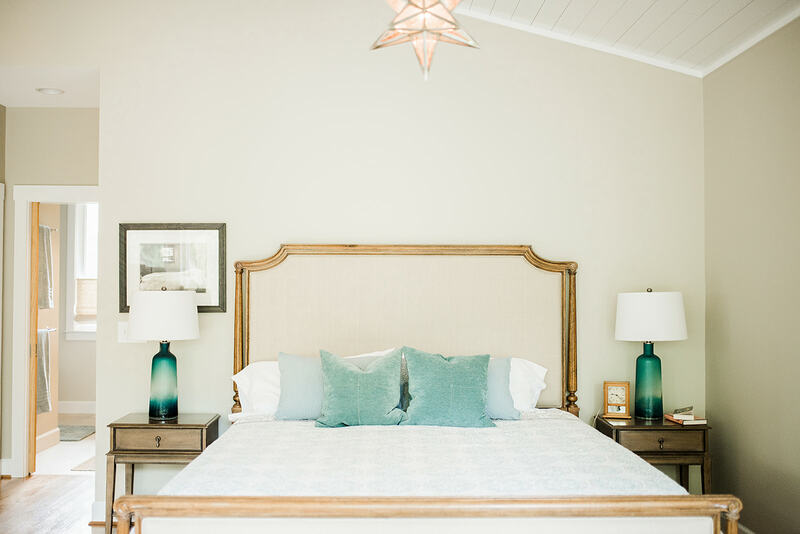 Despite the vast extravagant resources available to the President and Lead Designer of Big Sky, Jennifer and her husband wished for their home to be a low-key, relaxing retreat. 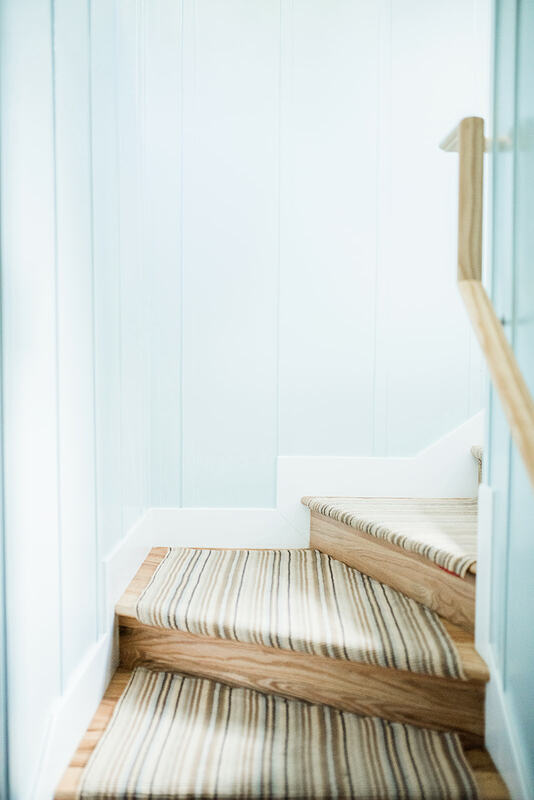 Having a comfortable place to come home to at the end of their busy work days was priority for their newly renovated space. 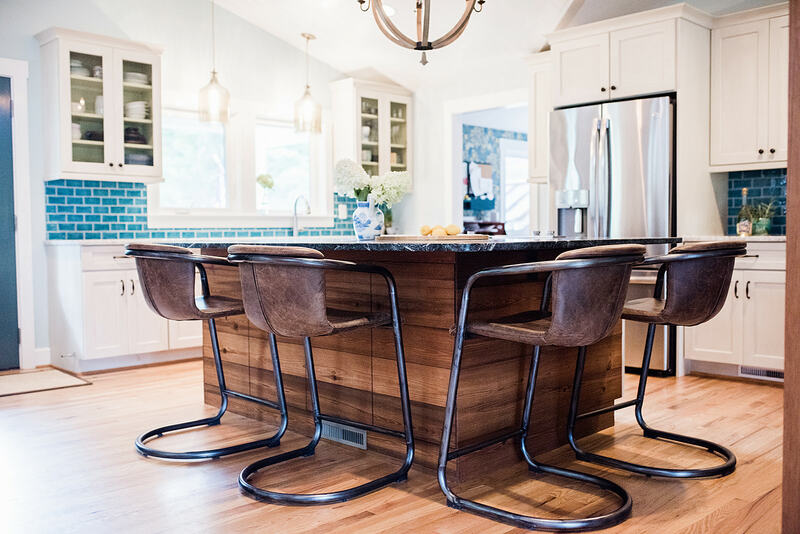 Rethinking the current layout of the 1969 home, they refreshed the space by opening the kitchen and dining area to flow into the living room and adding a vaulted ceiling. The kitchen roots the rustic design scheme with soapstone counters and a custom island made with wood collected from the Cape Fear River. 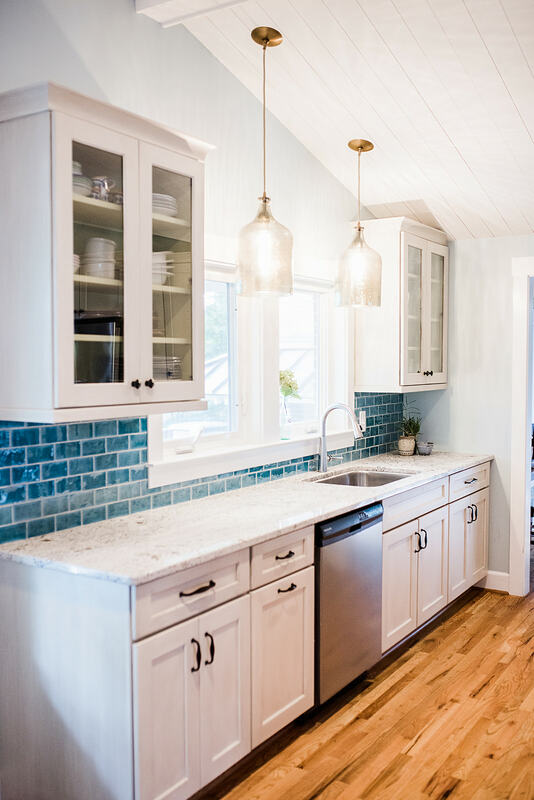 The deep turquoise glazed tile and new pendants elevate the natural textures. 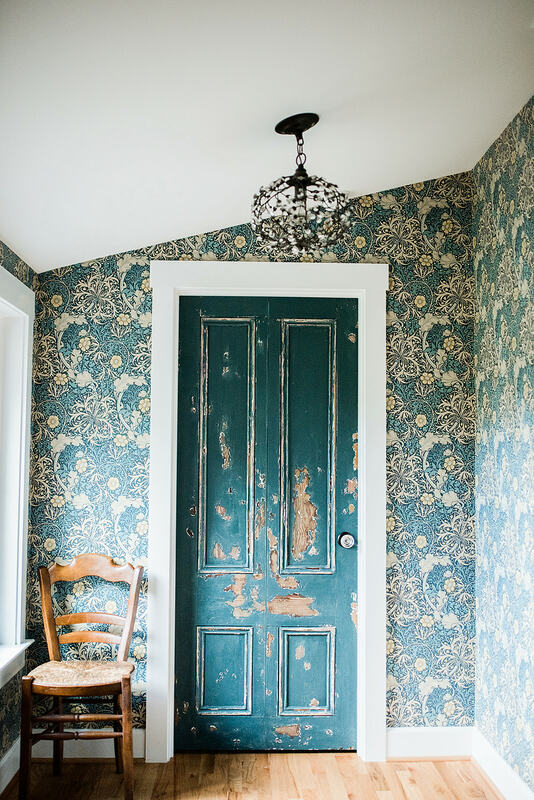 Recognizable William Morris wallpaper adds an Arts & Crafts element to the small space connecting the kitchen to the couple’s new master suite above the garage – the focus of the renovation. The master bed faces large windows and the sound in the backyard. 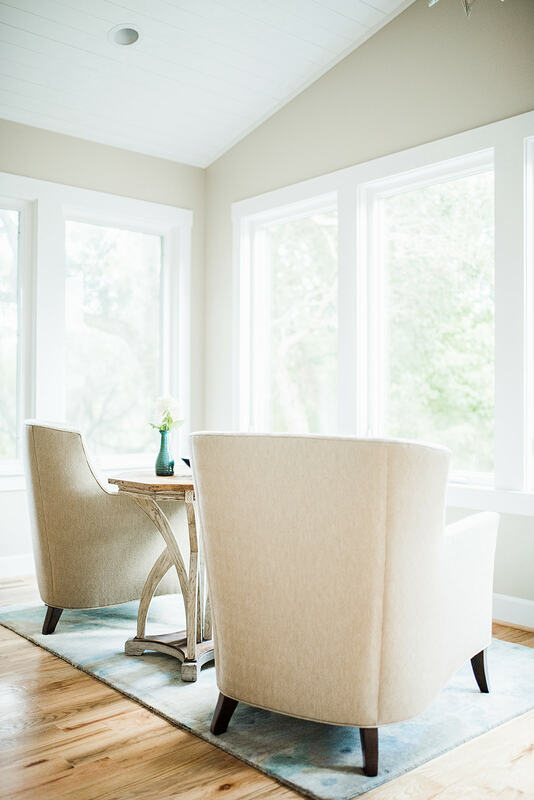 A pair of armchairs by the windows allow for enjoying morning coffee or an evening glass of wine with a view. Admirers of the coast and an easy way of living, the couple not only highlighted the water views in most of the rooms of the home, but also found unique ways to incorporate coastal elements into their home. 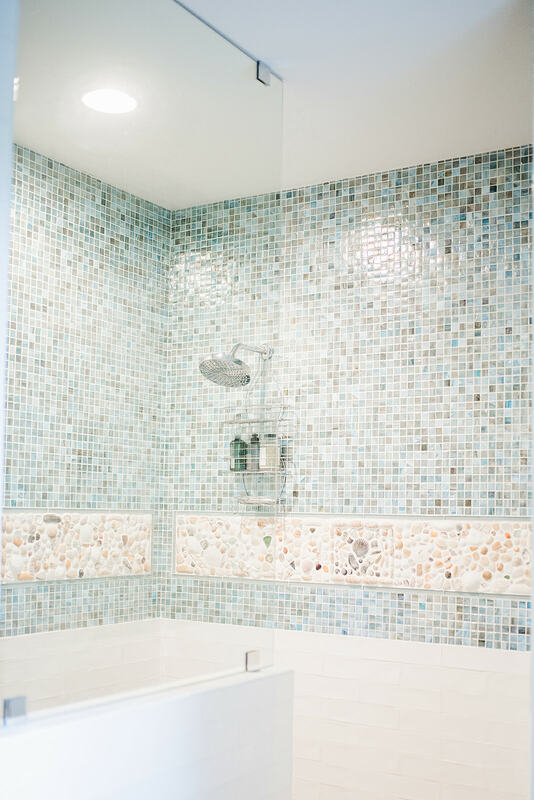 Jennifer took shells collected by her family over the years and set them into custom-made decorative panels that now hang master shower as an accent to beautiful glass tile. 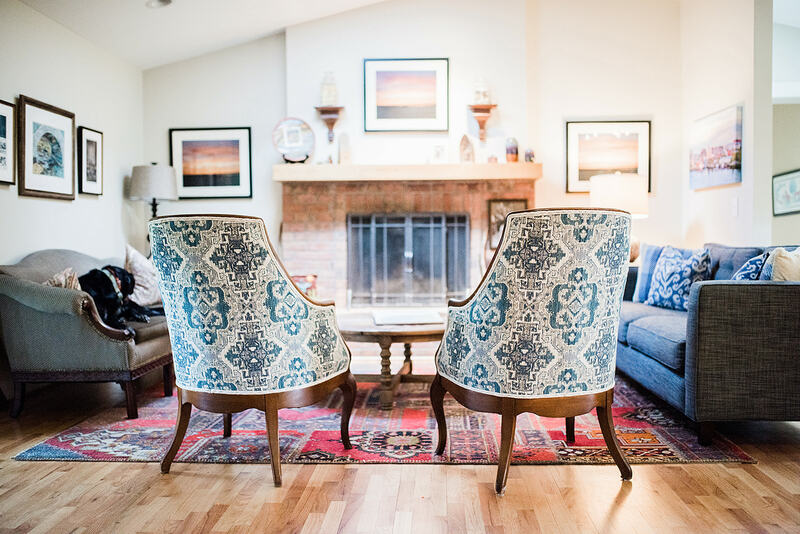 You’ll find Southwest art from family vacations, paintings and photography from local artists, and Jennifer’s own pottery sprinkled throughout their cozy creek side home. Recognizable William Morris wallpaper adds an Arts & Crafts element to the small space connecting the kitchen to the couple’s new master suite.